In mid-2002, a team of 25 British engineers were seconded to Japan to join work on the replacement for the Nissan Almera. The slow-selling hatchback needed a radical rethink and the rest, as they say, is crossover-shaped history. Well, not quite. The alternative Almera the Brits went to help with was not the Qashqai. It wasn’t a crossover at all but an MPV – an egg-shaped people-carrier with lift-out seats. Apparently the work did not go smoothly. The engineers were not convinced by the design. And presumably the designers weren’t happy with the engineering, because nine months in the project was cancelled. That decision set the British contingent adrift in Japan: not due home for another four months but with nothing official to do. They used their free time productively. As Peter Brown, one of team relates, they began sizing up a better replacement for the Almera. They homed in on a downsized version of the Nissan Murano, a 2002 softroader that had gone down very well in the US. 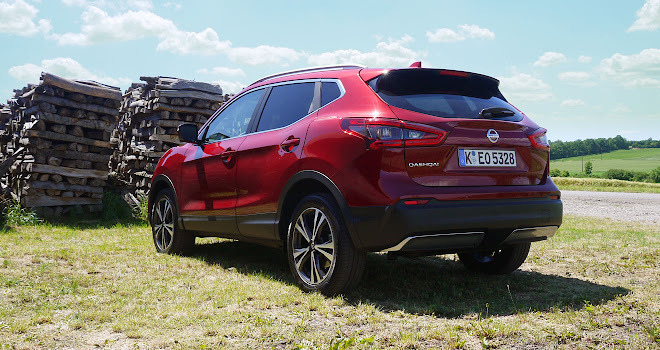 Attempting to retain all the 4x4 attractions while softening the various negatives led to the first Qashqai, launched just three years later in December 2006. Eleven years and 2.3 million European sales later, Nissan is still working to soothe away those same objections. 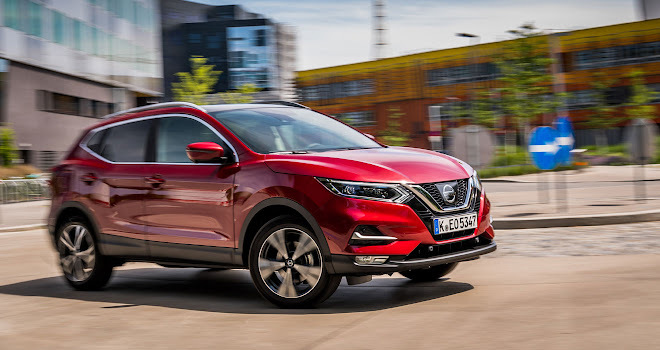 This year’s newly launched version 2.5 Qashqai has undergone a mild exterior facelift, but the company has also spent a lot of energy reducing noise, buffing up perceived quality and improving fuel economy. Sandwiched into the structure of the front doors, for example, you’ll now find what looks like a small dog’s duvet, there to soak up the din of road roar. Extra sound-absorbing padding has been added between the engine bay and the cabin, and glass in the rear doors has been thickened too. 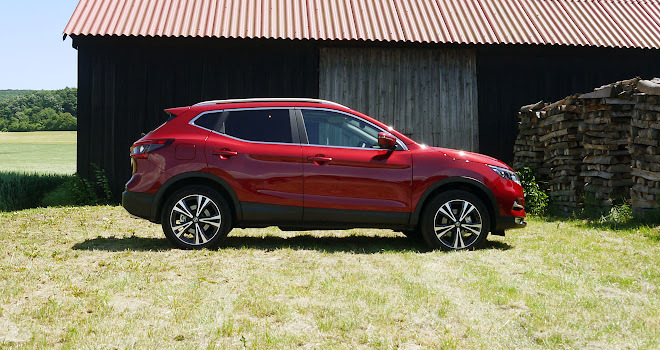 I can’t remember thinking that the second-generation Qashqai was noisy back in 2014, but I can confirm that the latest edition is extremely serene. 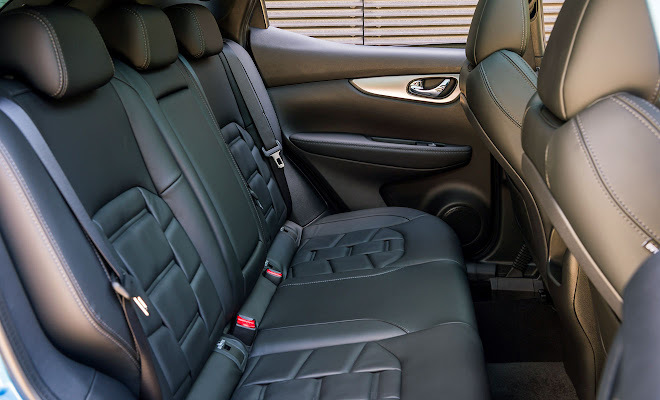 On the economy front, the engine’s flat under-tray has sprouted a row of small triangular teeth, jutting down into the airflow that rushes under the Qashqai’s chin. They might look insignificant but they make an important contribution. Air squashed under a car at speed goes in smoothly but at some point along the floor undergoes a process called flow separation, meaning air exits at the back of the car tumbling along in drag-inducing turbulence. The small triangular protrusions are called vortex generators and they intentionally mess up the airflow right at the front. This sounds counterproductive but the notion is that a small amount of carefully controlled turbulence helps to avoid a large amount of completely uncontrolled turbulence. 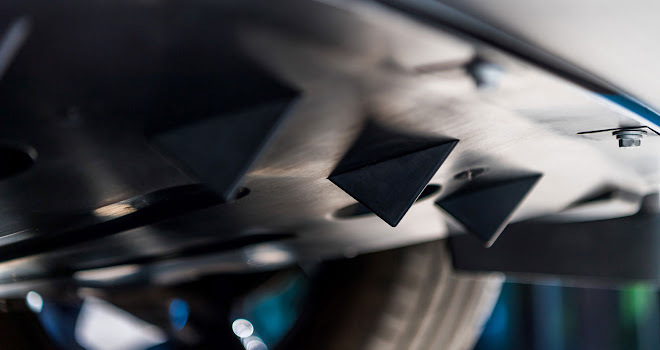 Thus the triangles create small swirls of air that stay close to the car’s underside, helping the majority of the air to pass underneath more smoothly. It is, apparently, akin to the way a shark’s rough, sandpaper skin cuts cleanly through water. However doubtful it sounds, the benefit has been tested and honed in a modern wind tunnel with a rolling-road surface. And this kind of tweak now allows the most economical Qashqai to wear 19-inch alloys without ruining its 99g/km CO2 score. For that particular emissions rating you will need to opt for the 1.5 dCi edition in front-wheel-drive format. 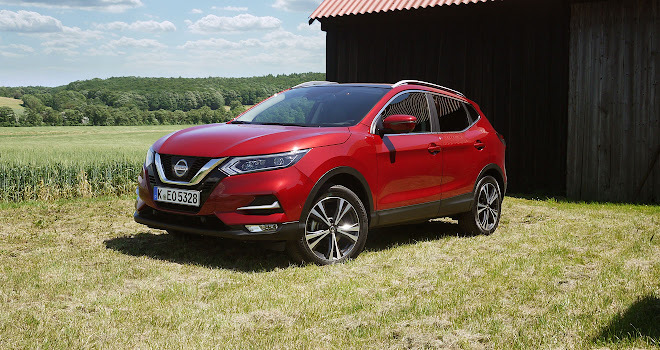 That’s the 110-horsepower entry-level diesel engine but thankfully it’s not a poverty choice to be avoided – indeed it’s the engine that Qashqai engineer Brown has chosen for his own car. 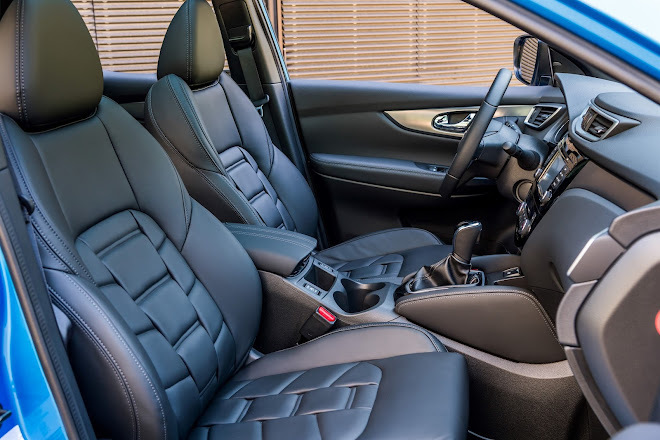 In mid-range N-Connecta trim, priced at £25,555, the 1.5 dCi is expected to be the UK’s best selling Qashqai. 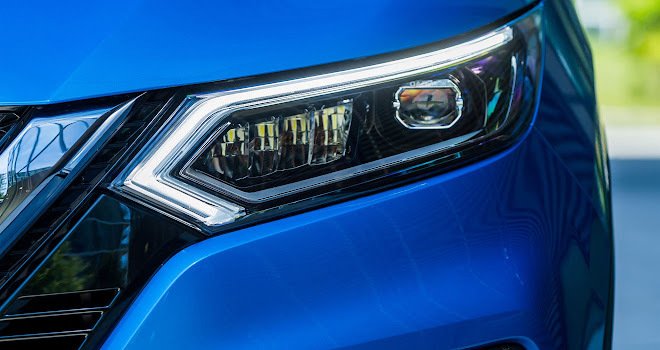 In all there are five trim levels, called Visia, Acenta, N-Connecta, Tekna and Tekna+. Prices run from £19,295 for a 115bhp petrol-powered Visia version to £32,530 for a full-on 4x4 Qashqai powered by a 130bhp diesel in Tekna+ trim. Nissan has also given the car’s undercarriage some tweaks, aiming for a smoother ride over bumps as well as a reduced tendency to roll in corners. The car did seem to handle neatly through the twisting roads of my test route in the hills and mountains of Austria. However, it wasn’t all plain sailing. Along one stretch of concrete-surfaced highway, transverse ridges began arriving at a frequency the Qashqai didn’t like and it began to bounce along like a merry-go-round pony. Thankfully, slowing down just a little allowed the car to settle back down into a more comfortable loping stride. Inside, Nissan says it has improved material quality though the changes seem pretty subtle. The leather seat design for the top Tekna+ trim does look pretty special, although it owes a heavy debt to the watch-strap trim pattern created by Citroen’s DS offshoot. 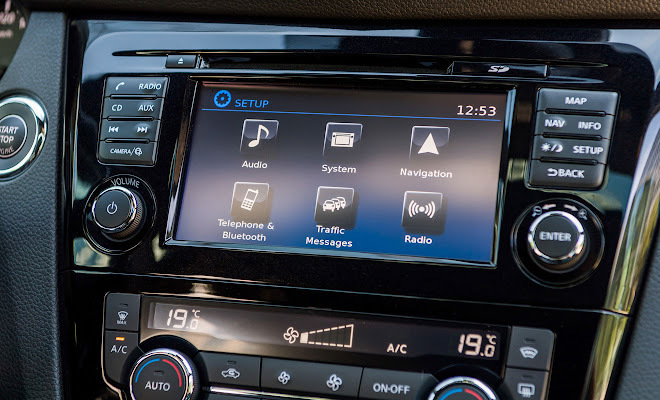 Some changes that might have been expected, such as a larger central touchscreen, haven’t appeared. The 7-inch hardware remains unchanged though the graphics have been revamped so you access the various functions as if they were apps. One of the more noticeable changes to the interior is a new steering wheel, with a much more stylish central boss and a flat-bottomed rim. This non-circular shape is less about creating space for legs than avoiding what would otherwise be a giant helm, because the radius of the upper section of the wheel has been increased to give a better view of the instrument cluster. It sounds a bit wonky but the new wheel feels pretty good to hold and to twirl. The wheel-mounted buttons have also been redesigned and seem a little easier to use than the old arrangement of plasticky thumb-operated switches. While trying these new controls out I realised that the cruise control is not, unfortunately, adaptive. Set to your chosen speed, the Qashqai will trundle along no matter what’s happening to the car up ahead. This came as a surprise because the top Tekna+ model Qashqai I’d borrowed very obviously includes a radar unit in its nose. This lives behind a new flush version of the Nissan badge at the prow. Surprisingly the radar is there only for emergency braking purposes, part of a safety upgrade pack that’s standard for the N-Connecta grade and above. The radar won’t be put to full use until the final quarter of 2017, when Nissan will begin to add its ProPilot assistance systems to the Qashqai. When that package arrives, clever software will control the steering, throttle and brake to keep the car within its chosen lane in heavy traffic or at a high-speed cruise. Until then, the Qashqai is left to feel a little behind the curve. Despite its latest refresh, dumb cruise control, a smallish touchscreen and lots of fiddly buttons on the centre console don’t feel very 2017. That said, the Qashqai remains a very enticing option. In its latest guise it’s very quiet, comfortable over most surfaces, spacious, stylish and surprisingly economical. It continues to deliver what it set out to achieve – the solid appeal of a 4x4 without the annoying drawbacks.